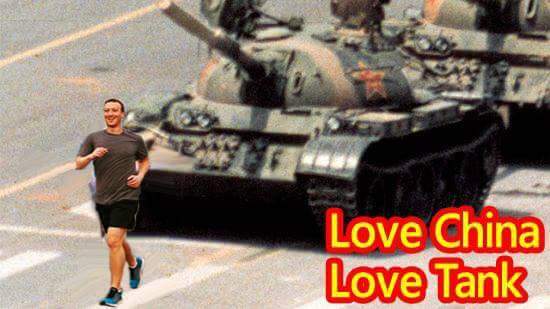 Netizens started to post an excerpt titled Tankman do you recognise this image from a Frontline documentary Tankman, after the 27th anniversary of the Massacre in Peking. On Sunday morning local time, some netizens, notably citizen journalist Richard Scotford, found the video was banned by Facebook. 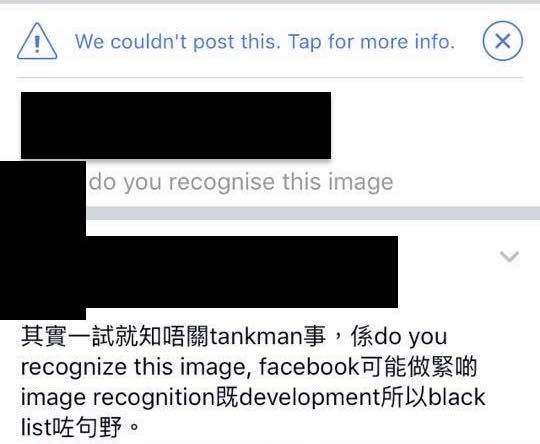 They later found even the wording Tankman do you recognise this image being blocked by Facebook, as they simply cannot post any message with such wording. And some netizens even try to post similar wording with famous photo that a man standing in front of a column of tanks, or even Mark Zuckerberg running in front of the tanks. Although some successfully posted, it seems all disappeared soon after. Similar messages appeared on Facebook, to mock the owner of the social media owner for his pro-Peking behaviour. Some media outlets in Chinese, immediately pointing to censorship on Facebook. 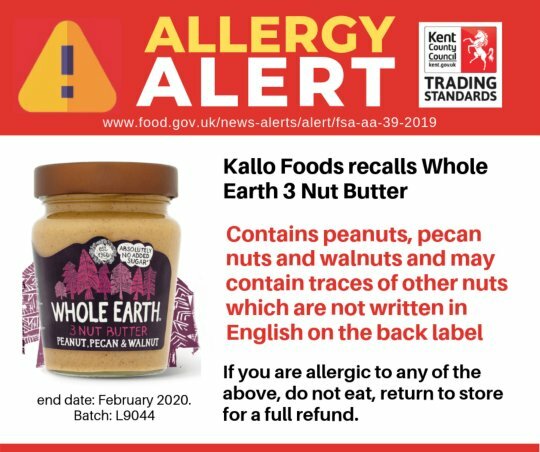 However according to Charles Low, an online security professional on VJMedia suggested，the messages may triggered the auto anti-spam mechanism, based on Scotford’s post. Low even found, even replacing “tankman” with any names, for example John do you recognise this image, the message once cannot be posted as well.